This month more annuities increased than decreased with smoker pension annuity rates improving while standard annuities decreased. Of the total annuity rates market for October 26% of annuity rates did not change. There were 43% of annuity rates that increased and this was from the smoker rates with the standard rates remaining unchanged or falling. These figures are based on a fund of £100,000 from male, female and joint, with different features such as level and escalating. The bank of England's latest round of Quantitative Easing injecting £75 billion is likely to mean lower gilt yields and annuity rates during the rest of this year. Annuities are based on the 15-year gilt yields which reduced by only 1 basis points down to 2.90% although the range for October was from 2.39% to 3.23% or an 84 basis point change which is very volatile and due to the uncertainty in the Eurozone and Quantitative Easing by the Bank of England. Fig 3 for October shows there was a balanced change in the market overall with a strong increase in the smoker annuity rates dominating with increases of 0.3% to 2.2% such as annuities for females single life with 3% escalation. Elsewhere the decreases were of a similar level of 0.2% to 2.0% such as rates for males single life and a 10 year guaranteed period. 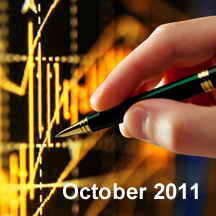 A quarter of annuity rates remained unchanged during October. Standard annuities have reduced by similar amounts except for female rates where the decrease is less and for female level with a 10 year guaranteed period the rates increased by 0.21%. The decrease of an average of 0.40% is significantly less than the decrease of 3.61% for September. In contrast for the second month in a row smoker annuity rates increased by an average of 0.46% with stronger increases than September from single life males and females. This increase was mainly due to Liverpool Victoria increasing their rates across the board during October to gain market share (as they did in September). The impaired annuity rates also increased over the same period. Joint life smoker rates decreased and this was due to providers re-pricing their rates. 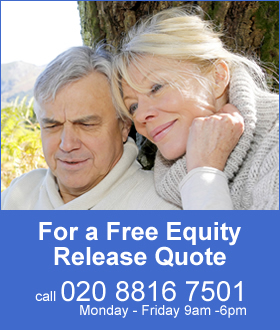 Find out more about annuity rates news and articles.